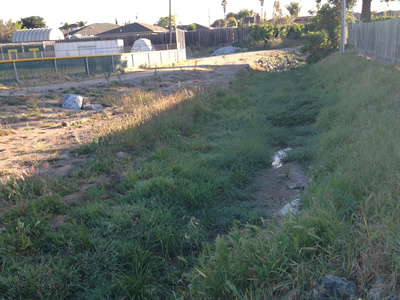 The Santa Rita Creek project completed ecological restoration of 500 ft Santa Rita Creek alongside a little league ball park in an area of Salinas that lacks parks and open spaces by creating a more naturally sinuous channel with a more natural cross-section featuring low-flow channel, and an inset floodplain bench. 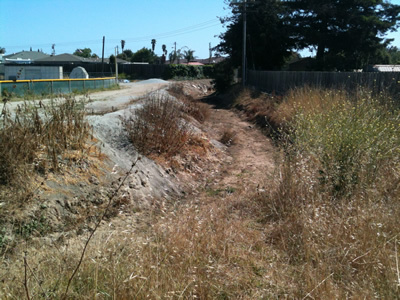 The project also included re-vegetation with locally-native riparian vegetation from the low-flow channel edge to the top of the banks. The project location represents a unique opportunity for education and demonstrating the value of natural ecosystem by providing a ‘nearby nature’ experience for in the neighborhood and those using the ballpark. As such the design features incorporated attractive but protected stream access (anticipating associated impacts) such as embedded boulders, small group gathering areas and interpretive signage. 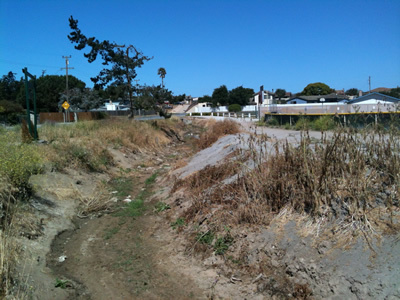 The investment from IWRP in designs and permits, were essential to making this project highly competitive for IRWM funds through the Greater Monterey County Integrated Regional Water Management Program (IWRM). The project obtained full funding from the State Department of Water Resources (DWR) through the IRWM and was completed in December of 2014. This project was identified by CDFW fisheries biologists on the IWRP TAC as the most important fish passage barrier for IWRP to address along the Monterey Coast. Removing this barrier will open up the entire available natural anadromous fish habitat on the main stem Big Sur River including adult migration to high quality spawning habitat and unimpaired downstream migration of juveniles to the high quality lagoon/estuary system rearing areas. It should be noted that this is the last barrier on the main-stem Big Sur River. 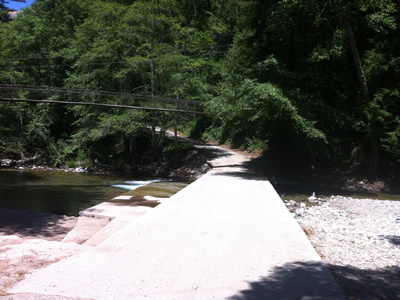 The project site is a low flow concrete crossing along the main-stem of the Big Sur River upstream of Andrew Molera State Park in coastal Monterey County. 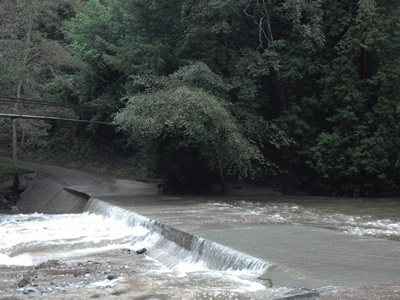 This ford is a barrier to South-Central Coast steelhead trout migration and is specifically called out in the 2013 DFW Task List for the Steelhead Restoration and Management Plan for California. The crossing is located on private property and is used to provide access across the river to a commercial campground and vacation rental cabins. Access and use of the campground is limited or absent when flows on the Big Sur River exceed 300 cfs and the ford overtops. Working with a willing landowner and collaborating with technical and permit experts on the IWRP TAC, the project team was able to develop cost-effective designs for a new crossing that would meet all fish passage requirements and extend the season of use at the campground. IWRP design and permit funds were used to fund both a concept design and a final design phase of the project. 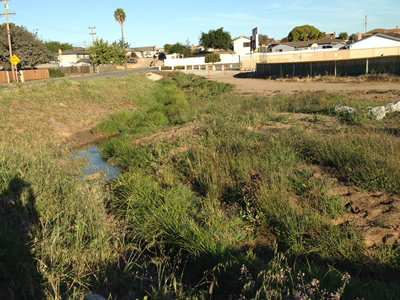 Based on the partnership with CDFW, the project was deemed to be very competitive for the State’s Fisheries Restoration Grant Program (FRGP) implementation funds even though the construction costs were significant. In March of 2015, the project was awarded the full request for implementation. In addition to the award, the land owners are contributing match funds for implementation. The project is slated for construction in the summer 2016.